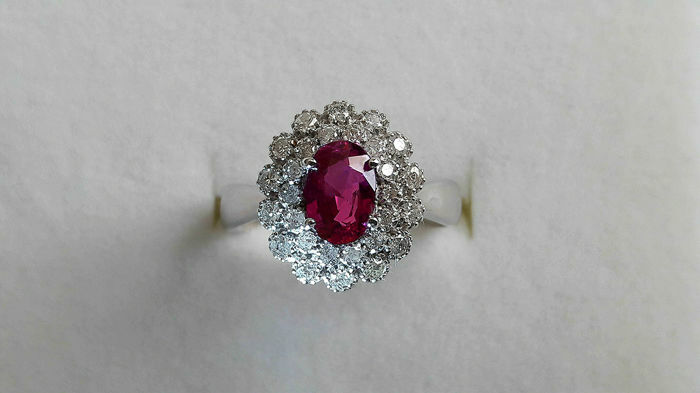 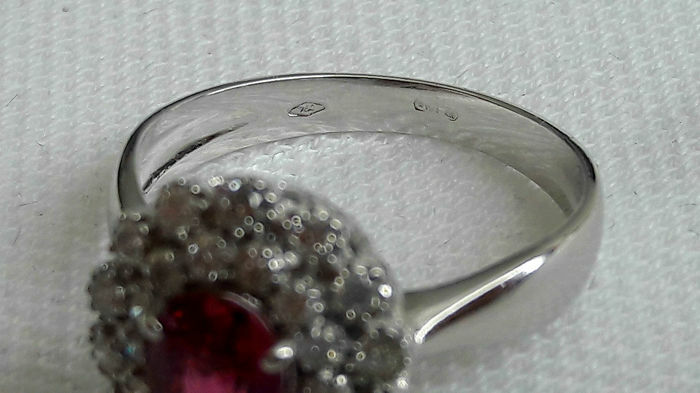 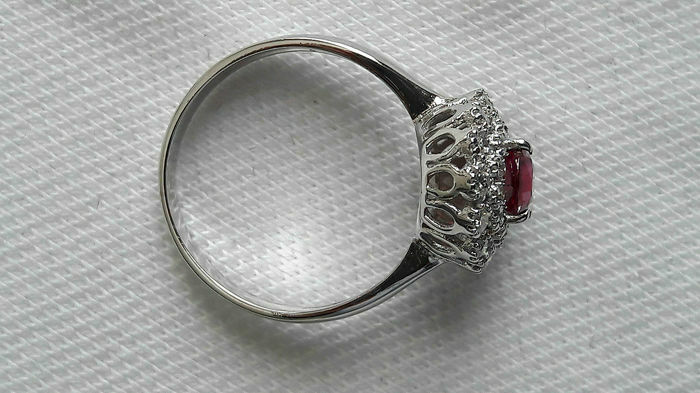 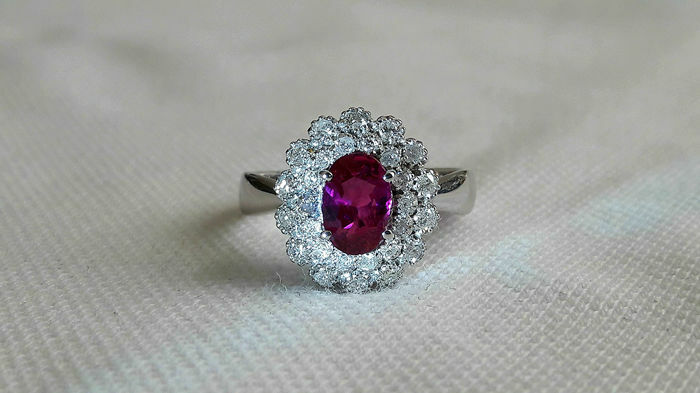 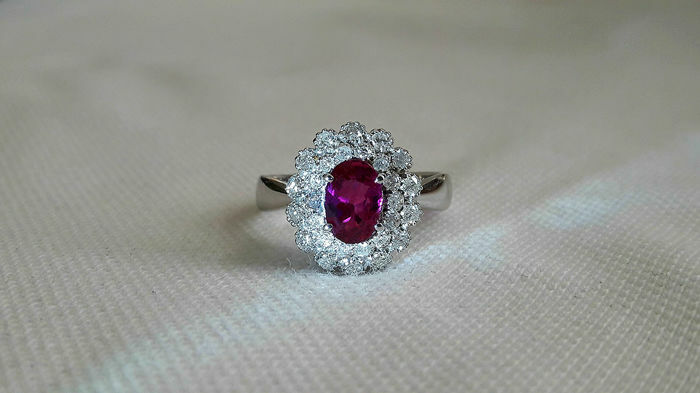 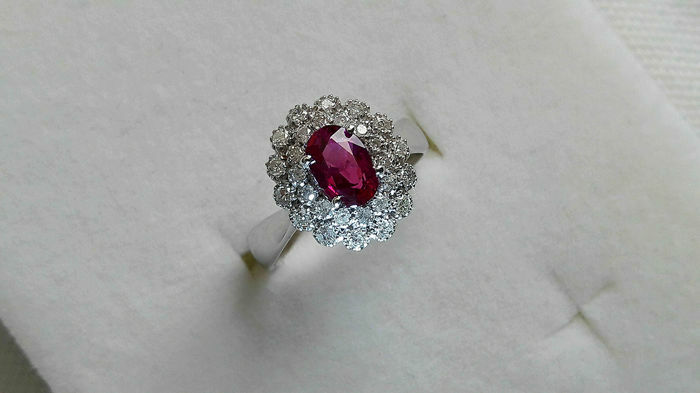 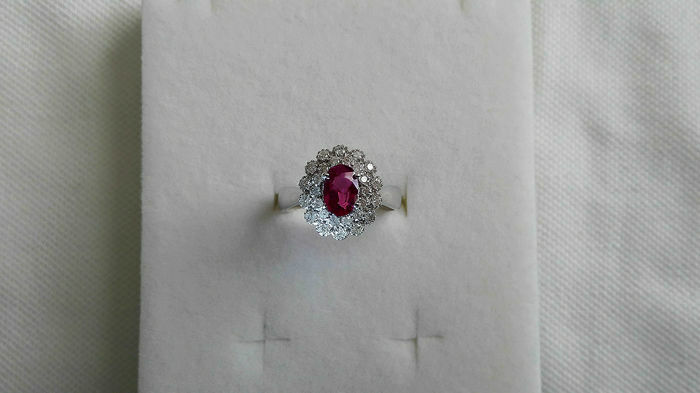 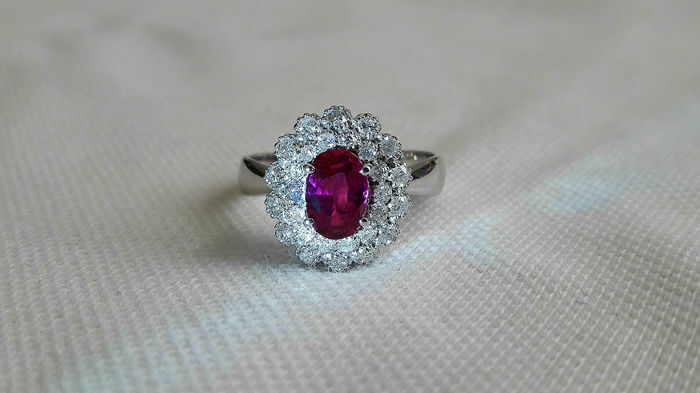 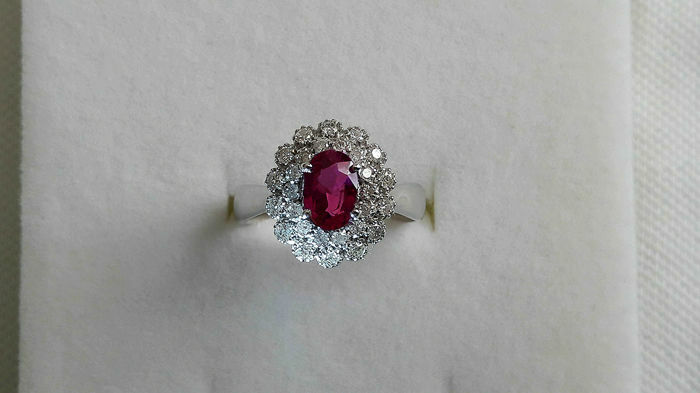 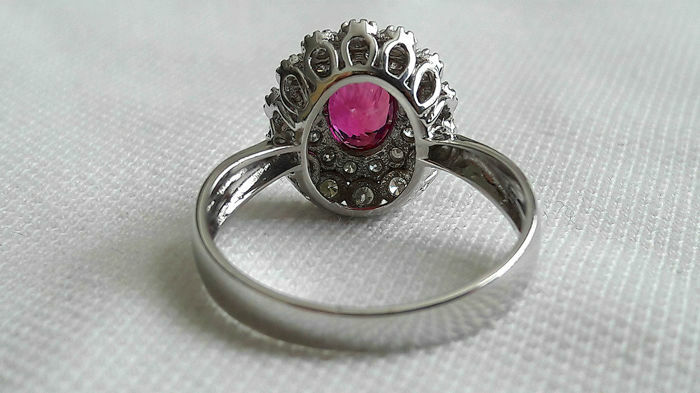 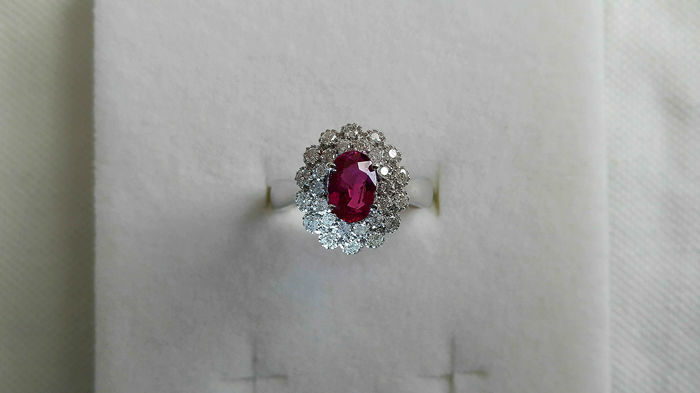 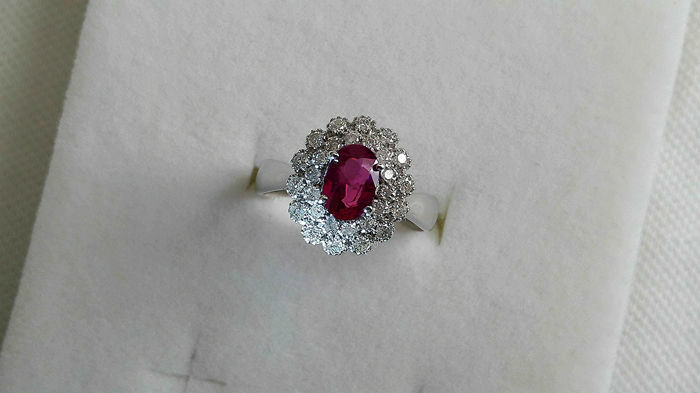 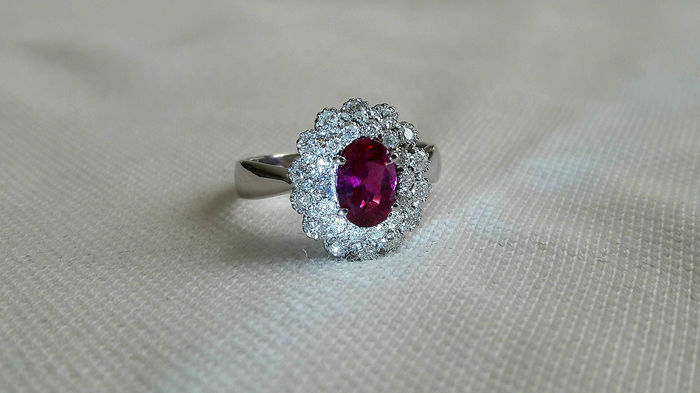 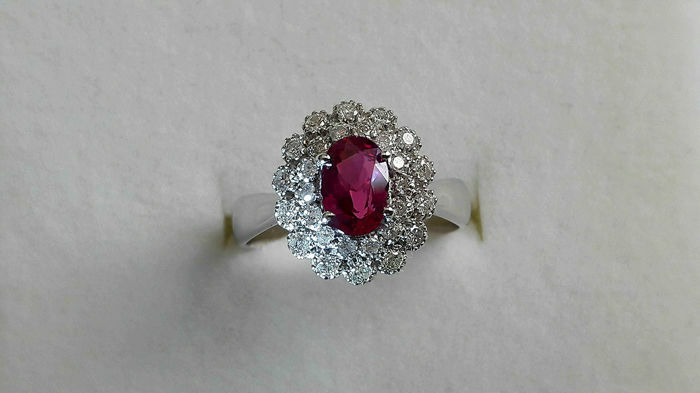 Ring in 18 kt white gold with 2.01-ct ruby in an intense red/purple colour - oval cut. 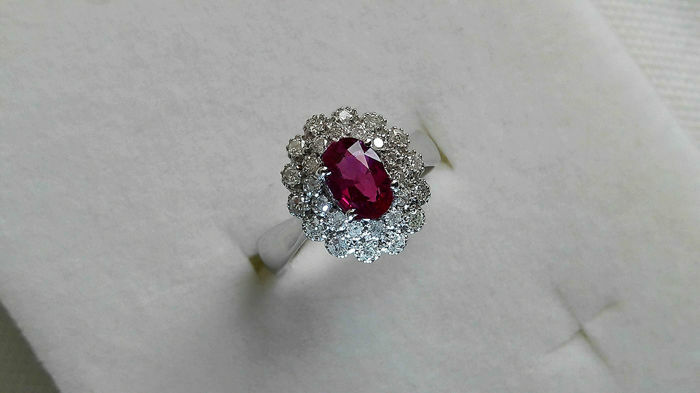 Twenty-eight (28) diamonds, fourteen (14) weighing 0.02 ct each and fourteen (14) weighing 0.03 ct each for a total of approx. 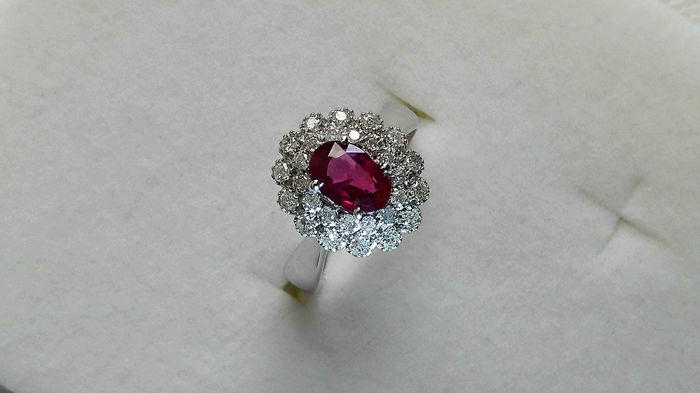 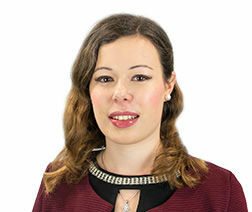 0.70 ct Colour: G - Clarity: VS - brilliant cut.